Easy to create a professional display. 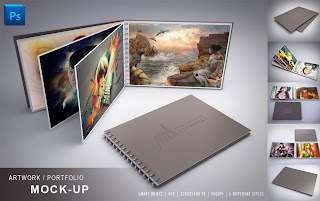 Designed to create presentations of album designs such as photography, artwork, portfolio, etc.. Easy to use with smart object feature in photoshop. PDF help file is included.